As a club for automotive enthusiasts, it seems natural that we spend a day drooling over cars in one of the few large automotive shows still in existence in North America. There are two weekends in April that are available, but I'm tentatively picking April 7. Would love to have feedback by March 16 if you would like to attend this day, or another. Other possibilities are 6 April, 13-14 April. Ticket prices are posted on the web with various possible discounts, BUT... the show director has said that we can get a group discount ticket rate of $8.50/person if we have 25+ people attending. 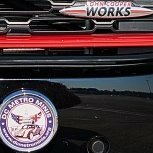 "Designated one of the nation’s top five auto shows by the International Organization of Motor Vehicle Manufacturers, The Washington Auto Show®, a world class event, continues to wow audiences with its cutting-edge exhibits, latest model cars and displays of historic vehicles. Notice: Attendees are encouraged to arrive early as the Washington Auto Show has instituted a standard security policy for all show days at the center. Patrons will be subject to search and possible hand held metal detectors. All bags, briefcases, book bags or items similar in nature will be searched as patrons enter the arena. The Washington Auto Show consults with local law enforcement agencies on a continual basis. Some of the security measures in place will be apparent to patrons and some will not." The 7th looks good for me. I am planning on going at least once this year. The 2006 show was where I decided I had to get a checkmate S. I hope mini brings a new GP. I'm volunteering for the Cherry Blossom 10 Mile Run in DC earlier that morning. I might be able to join if it starts before I have to leave DC! I saw at a few recent auto show photos, that the local MINI dealerships are doing setups with light support from MINI USA. we got there a bit late, my fault. We ran into Rey, sorry we missed you. Thanks for coordinating, always good to have multiple types of events. Sorry for missing you - didn't check the website after starting to walk around the cars! Certainly a less diverse set of vehicles this year. Crowd seemed a bit smaller, too. Nevertheless, entertaining to walk around and see some of the new stuff. No problem. Since I got there late, I just looked around for a bit near will call and then started looking for minis. No minis, but I still enjoyed sitting in a few cars I won't be able to buy. I love the toggle switches in the Bullit.